Two biggies slated for release in the New Year are Shah Rukh Khan-starrer Raees and Rakesh Roshan’s Kaabil. Mahira Khan is the leading lady of Raees while Kaabil stars Hrithik Roshan and Yami Gautam of Vicky Donor fame. Hrithik and Yami both play a visually challenged couple in the movie. 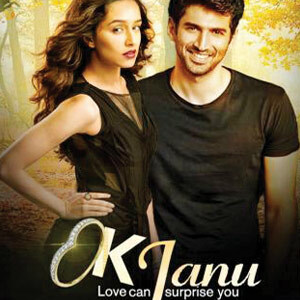 Also scheduled to hit the screens in January is OK Jaanu starring the Aashiqui 2 pair Aditya Roy Kapoor and Shraddha Kapoor. Naam Shabana sees Akshay Kumar pair up with Taapsee Pannu again after Baby. Taapsee got rave reviews for a role in the recently released Pink which also featured Amitabh Bachchan. Alia Bhatt will reportedly be paired with rumored beau Sidharth Malhotra in Aashiqui 3, most likely to be directed by Mohit Suri. After M. S. Dhoni, Sushant Singh Rajput will be seen as the romantic lead in Homi Adajania’s Raabta. His leading lady is Kriti Sanon, who was last seen in Dilwale.